Some call it the silly season. Its those first few weeks of a southern hemisphere January. The office is quiet. I’m at work making use of the downtime from the regular weekly program to engage in some tidying up and planning for what must take place in my final six months here – and beyond. There is a kind of relaxed urgency about all this. Here is the call of great things to come – both for those we must leave behind and for us as we move into uncharted territory. And the season of Epiphany has burst upon us. Between now and mid-February we are reflecting and responding to the explosion of understanding that the self-revealing of God through the Christ thrusts upon us. Yet it is an understanding that opens up just how much more territory there is to explore! Psalm 63:1-8 catches the sense of an awakened thirst seeking satisfaction. These January days are pregnant with expectancy seeking fulfilment because of what is known and what is understood. … increased in human favour..
Seeking human favour always carried amber warning lights in my ministerial formation. We’ve seen too many examples of fall from grace in the political arena – and church leadership ain’t far from politics! Yet Luke’s gospel speaks approvingly of Jesus increasing in human favour. As an Enneagram Six, I am naturally inclined to seeking human favour. In my earlier unaware state, this did me little favour indeed! Compliant, secretive, anxious, afraid of criticism – I was the company “yes” man! While serving my instincts for survival in the human jungle, I quickly discovered this didn’t work in the areas that really mattered – deep relationships with others. Worthwhile ministry quickly plunges one into this territory. Integrity and transparency were the traits to which I had access to cultivate. They served as antidotes to my unconscious self-preservation strategies. The motive of currying favour to serve myself began to transform into genuine service of others. I don’t see this dynamic receding during retirement. Reflection on this four-fold increase in Jesus’ development as described in Luke 2:52 suggests that wisdom, stature and divine and human favour are inextricably linked. Human favour – continue to seek out opportunities and avenues for service and socialisation. This is why retirement is looking more like refirement! Everyone thinks clergy have some secret hotline to God. How does a retiring one increase a state that is already deemed to be “perfect?” Let’s lay that myth to rest. Having said that, I am careful not to fall into the Western trap of striving to find favour with God, as if I have to earn points for good behaviour. The text from Luke 2:52 suggests a journey of awareness into the favour that God already bestows, as indicated in the eastern orthodox emphasis on “theosis” referred to in my previous post. Growth of awareness in itself stimulates the cultivation of the hidden fruits of divinity emanating from the image of God in our being, and fully revealed in the God-human, Jesus the Christ. When Jesus was baptised by his cousin John, the voice he hears, “This is my Beloved, in whom I am well pleased,” is available to be heard by us all. The holiness tradition of the revivalists, the contemplative practices of the monastics, the charismatic expressions of the renewalists, the sacramental and liturgical movements – all have contributions to awakening and deepening awareness of God’s favour. In ministry, it has been my task to respond to and foster all – as every expression can be found even in one small church community. I don’t see this journey coming to completion, even past full-blown retirement. … continuing thoughts on transition from full-time work to retirement. Even as I downsize the library I have collected and maintained over several decades of ministry, I contemplate how I will maintain an inquisitive and searching mind that is keen, not only to store information, but apply an accumulation of knowledge and experience in that unique formulation that approximates wisdom. It’s not only the books, some of which today I snuck back having disposed of, but the memories, conversations and transformations to which they contribute, that make the continuing journey towards wisdom enticing. It will be important to keep this going when I hang up my boots in June. I’m in three book groups now. I’ll keep going to two. I’ll keep abreast of reading in my focus area of spirituality, with an emphasis on the Christian tradition. I’ll sign up for an online course for something I’ve never done before. I’ll maintain my practice as a Spiritual Director where I continue to learn so much from those I accompany. I’ll be open to speaking and workshop engagements should they fall my way. Indeed I’ll maintain an open stance to any possibility that arises. In fact, perhaps the basis of wisdom is simply paying attention! May curiosity continue to be a sharp and active trait. Yes, this is the year that will see me cease earning and have Jenny and I living off savings for the rest of our natural life. My life as an earner began as a skinny bespectacled 13 year old selling iced finger buns door to door in Adelaide’s northern suburbs. I would arise early Saturday mornings, ride my creaking bike 10 km to the mum and pop bakery and there, with other eager youths, among the flour and fly traps, pack the freshly baked and iced buns into trays ready for delivery. We would pile into the back of the boss’s ute, ready for a wild ride to be spotted strategically around the suburban streets. By early afternoon we would be collected, paid according to our sales, and then the weary 45-minute bike ride home. Since then I have clerked, retailed, packed, stored, painted, gardened, demolished, swept, and then, for the bulk of my working life, served as a Churches of Christ minister in Victoria, Western Australia, South Australia and the Australian Capital Territory. In June, a new chapter begins. Retired or Refired? Employment under a contract may cease, but vocation will continue. On this first day of a year of transition for Jenny and myself, my mind recalls the mantra drummed into my growing years of maintaining a balanced life based on a text repeated in yesterday’s service commemorating Jesus’ Presentation at the Temple. So, over the next few entries, I will consider what the transition may look like vocationally. How will our minds be engaged? How will we continue to maintain and develop our physical resources? How will we nurture spiritual growth? What will continued social and human service look like? And, importantly, how will we and our current faith community at Wembley Downs, where our identities are so intertwined, navigate the changes ahead? 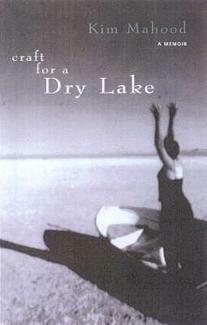 Part of my summer reading is an autobiography that weaves the theme of attachment to land by settler and Aborigine alike. The death of the author’s father prompts a personal pilgrimage to the remote station lands of her childhood. Her connection to the land is marked by ambiguity – it is a wrestling with identity that does not find satisfaction without including Aboriginal perspectives and connection. Through writing and painting, Kim Mahood shapes her journey. This excites me for it gels with the continuing “listening journeys” some of my church are currently engaged in, particularly as we seek to discern how our own identity is affected by connection to the land we now share and the nuances of mapping and naming the land which now has the layer of European settlement imposed upon it. Eco-humanities Corner :Kim Mahood’s Evolving Geographies by Saskia Beudel. We first met the author of this book, Kim Huynh, when he was two years old. It was at the Canberra domestic air terminal and Kim’s family had just arrived from a refugee camp – tired, somewhat bewildered, but excited and ready to make a go of things. That’s a whole other story than what this book is about, yet one catches a hint of challenges that have been met and embraced over the years since. 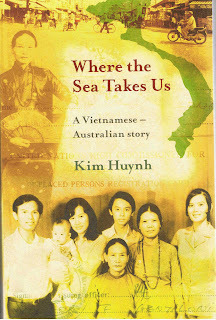 Kim, now an associate lecturer in international politics at Australian National University, has carefully researched and documented his family’s story against the background of almost six decades of political upheaval that was Vietnam until the 1980s. In a winsome journalistic style, he has married familial affection, academic prowess, and cross-cultural reflection as he tells his family’s story. I am struck with how Kim manages to articulate a comprehensive overview of modern history in South East Asia, including many resulting traumatic episodes for family members, with such grace and compassion and traces of laconic Aussie humour. Kim’s deeply expressed respect for his family and country of origin’s narrative is reflected in the note on the cover announcing that all royalties from sales of the book are being donated to Médecins Sans Frontières Australia.